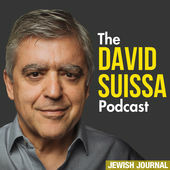 To listen to the audio podcast click here to download and subscribe to podcasts. After years of working in advertising, Michele Prince decided to go back to school to pursue a joint master’s degree in social work and Jewish communal service through USC and Hebrew Union College-Jewish Institute of Religion. In 2012, Prince, now 51, who attends Mishkon Tephilo synagogue in Venice, became the CEO of OUR HOUSE Grief Support Center. The nonprofit supports kids as young as 4 and adults of all ages who have lost a close loved one: a parent, a partner, sibling or child. Click here to read more. And lawyers are at the center of it all. In Koreatown, near downtown Los Angeles, a remarkable experiment is taking place. 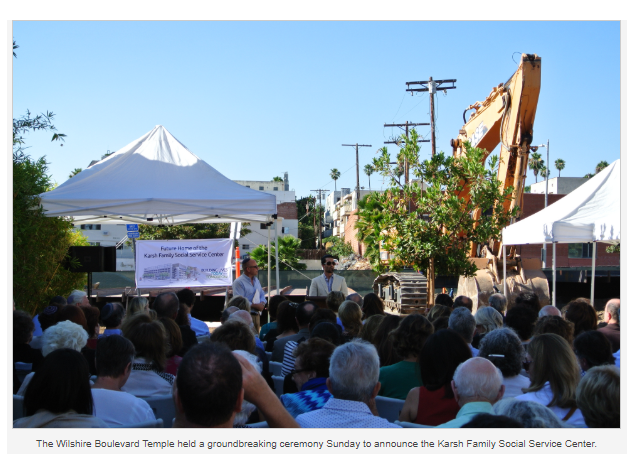 Led by a unique amalgam of community members, the Karsh Family Social Service Center at Wilshire Boulevard Temple is establishing a new standard of care for neighbors living side by side in a diverse world. Engaging in outreach, compassion and effective delivery of services to those most in need as may never have been seen before, the project is led by a historic Jewish synagogue and a community that is as much a rainbow of America as anywhere in any part of the country. And lawyers are at the center of it all….Click here to read more. What would you do if you were a volunteer at a social service center and one of the clients, unable to walk and without his or her own car, asked for a ride home? The question was one of many posed to the approximately 150 attendees at a volunteer orientation on March 13 for the new, 7,500-square-foot Karsh Family Social Service Center at Wilshire Boulevard Temple (WBT), a facility opening onto Sixth Street that is part of the expansion of the synagogue’s Koreatown campus…. Click here to read more. 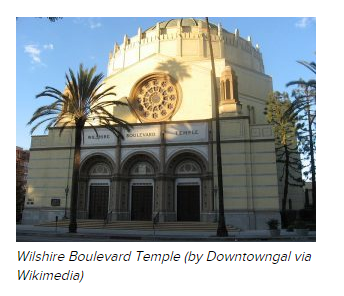 The Wilshire Boulevard Temple announced Sunday during an expansion ceremony its plans to co-run a new center with the Korean community. The temple, which was designated as a National Register of Historic Place in 1984, is the city’s oldest Jewish congregation. It plans to complete the Karsh Family Social Service Center, a place for low-income residents to participate in and freely enjoy social welfare programs, in Feb. 2016…. Click here to read more. 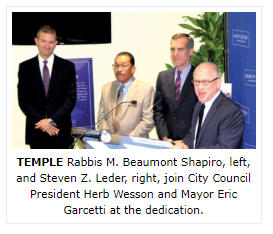 Set to serve thousands of community members annually, the center is hailed as the most comprehensive outreach of any synagogue in the country and perhaps the world — due to the significant needs of its neighbors, Temple officials said…. Click here to read more.